﻿ Attractions of Turkmenistan, Most interesting places you need to visit. 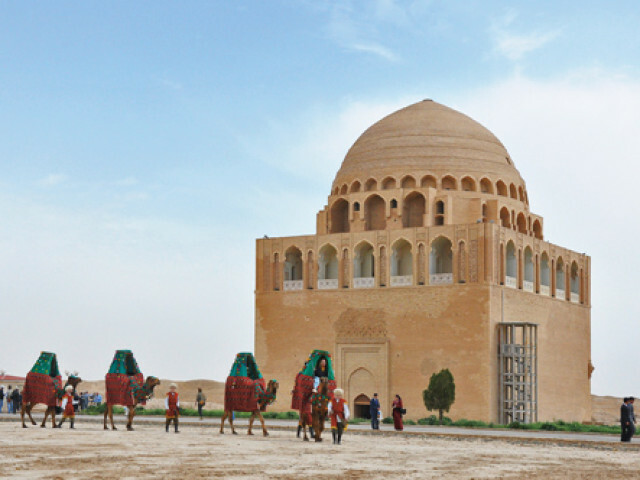 Travel agent DN Tours invites you to visit the most interesting places of Turkmenistan. We made the best routes and combined them into fascinating tours. 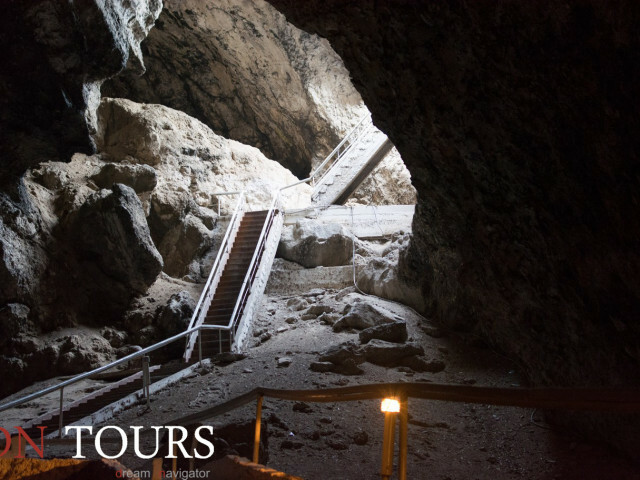 In this section you can learn in details about each stage of the tour around Turkmenistan, get acquainted with natural and architectural sights you will see while your trip. Learn more about the purebred breed of Akhal-Teke horses, devoted Alabai dogs. 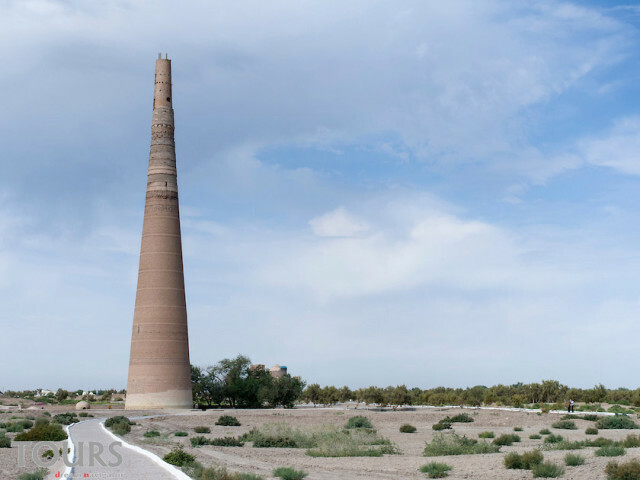 History of ancient Merv, where the Great Silk Road passed many hundreds of years ago. The gas crater in Darvaza has attracted tourists for many decades. The crater locates in the middle of the Karakum Desert, and you will have to pass this way to see it. 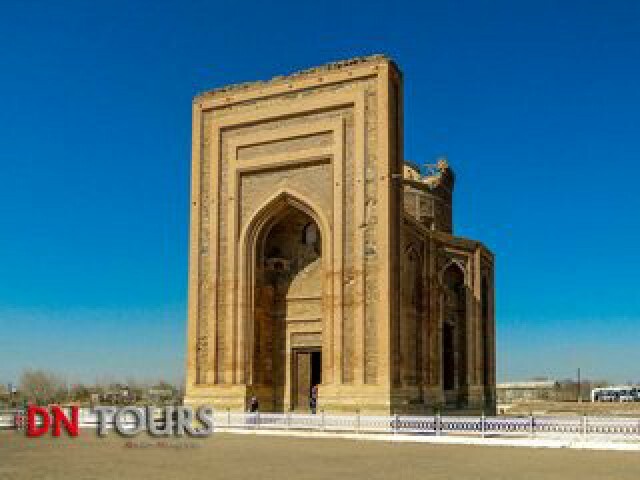 A lot is already open and there are many things to be discovered, plunge into an interesting trip through Turkmenistan together with travel agency DN Tours. At the begining of the 1st century AD the Chinese sources mentioned the city of Yue-gan which is identified with city of Gurgench or Urgench. It relates to Khoresm according to the ancient and medieval geographic conceptions. In the later period this city is mentioned in connection with the most important political events. Kunya Urgench had been destroyed and rebuilt several times. 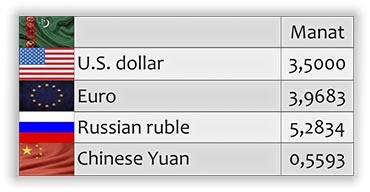 Margiana and Margush… what is correct? Margiana… where are the sources of this stirring name which has been entered into the history text-books as a symbol of undiscovered mystery of times? 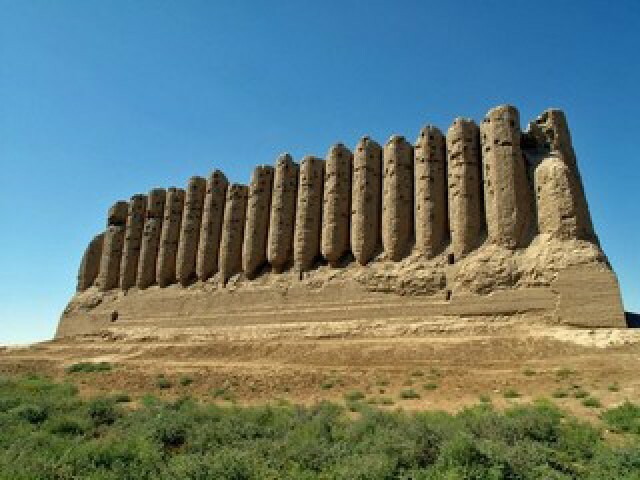 Ancient Merv, Turkmenistan. History note. Merv is a group of sites of the ancient town having been arisen and perished. The sites of the ancient town Erk Kala (VI century B.C. ), Gyaur Kala (III century B.C. ), Sultan Kala (X-XIII century A.D.), Big Kiz Kala (VI Century A.D.), Muhammed ibn Zeid (XII century A.D.) correspond to different period of its existance. Kow Ata underground lake locates in about 100 km away from capital of Turkmenistan – Ashgabat. Kow ata means “father of caves”. Today it is an architectural reserve (480 km to the north from Ashgabat). 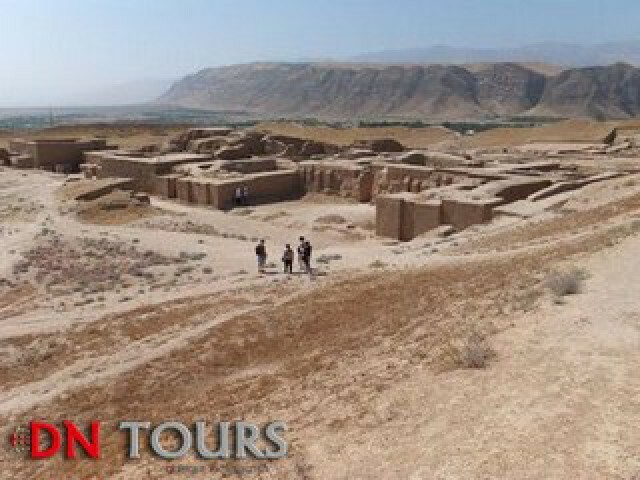 In the past it was the ancient capital of Northern Khoresm in the first century A.D. In the middle of the eighth century it was conquered by Arabs and in the year of 995 it was renamed Gurgandzh and became the residence of Khorezm Shah and the second-largest city after Bukhara – the capital of Samanid Empire. Merv oasis ( 40 km from Mary) is one of the most ancient territories of Central Asia. There irrigation was first introduced. So it’s not surprising that it was there that one of the largest cities of ancient world – Merv (Margush, Margiana, Mary) was built on that territory. The origin of Merv is shrouded in mysteries . One fact is known for sure, though – the first written references to this city were found in Avestian chronicles of approximately the 8th – the 6th centuries B.C. The chroniclers widely used bright epithets naming it “a soul of a king”, “a mother of Khurasan cities “, and , finally, «the city on which the Universe rests “. Omar Khayyam, As – Samani , Imamaddin – Isphakhani and other great thinkers of the Middle Ages used to live there. 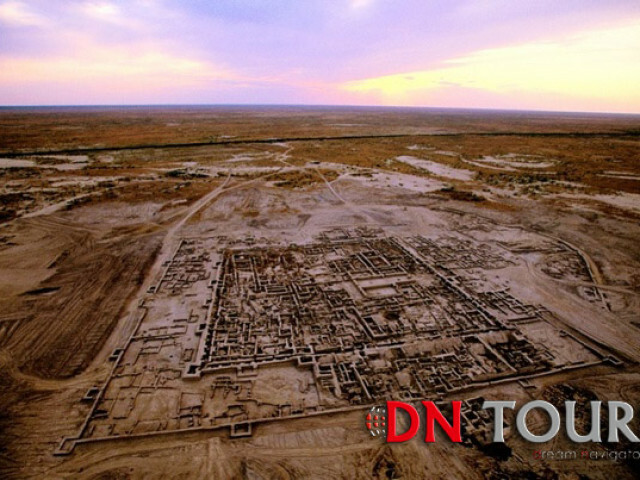 18 km to the west of Ashgabat can be found to be towering ruins of Nissa the capital city of ancient Parthian state which existed between 1,000 B.C. and 1,000 A .D. In the third century B.C. New Nissa was a capital of Parthian state, and Old Nissa fortress was considered an imperial residence. 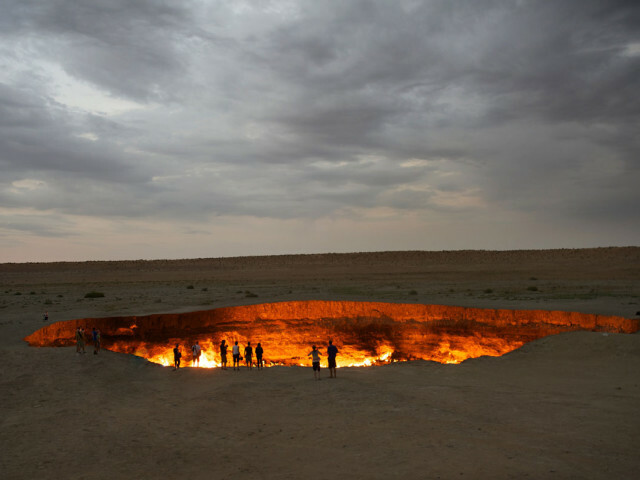 Darvaza is one of the most surprising places of Turkmenistan. The huge crater in the middle of desert in diameter of 60 meters and depth of 20 meters involves thousands of tourists for many years. The show that appears before the eyes of any person causes this association.